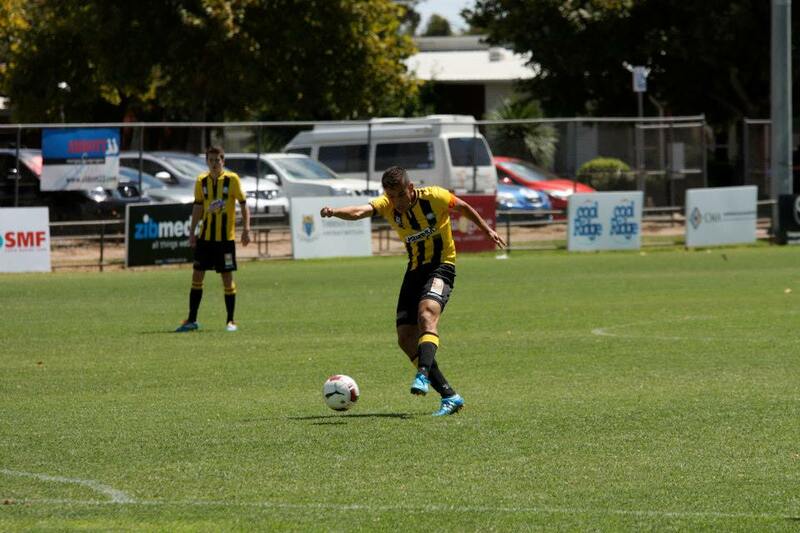 Paul Radice scored a terrific brace on the weekend to secure the points for Birkalla over Para Hills at home. In a scrappy first half the visitors went one up to stun Birkalla into action. 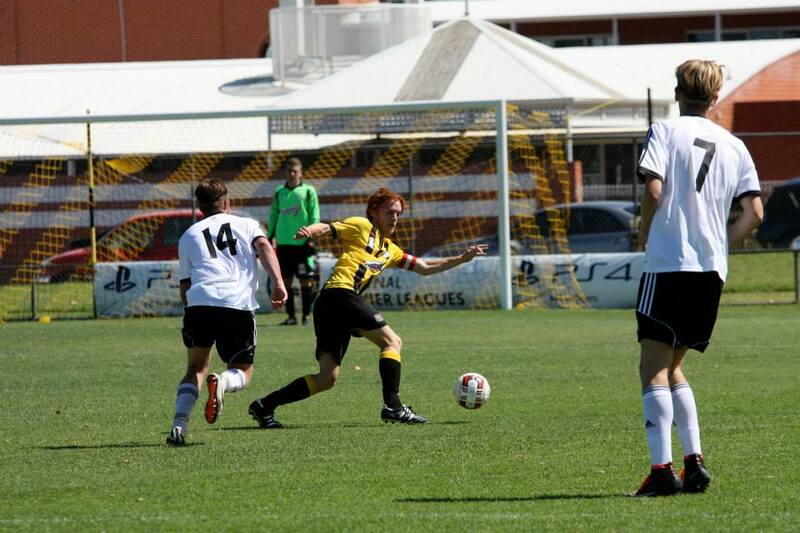 Scott Nagel became lively and ran at the opposition constantly causing havoc down the left. Tom Dittmar wandered deep into attack and put in a nice cross to find the boot of Ryan Kitto to level at one all just before half time. Then Radice cleverly eluded the keeper to stroll into an open goal before chipping the keeper from thirty metres with sublime touch for his second. The Knights weren’t done and seized an opportunity five minutes from time which caused a bit of panic however Birkalla held on to secure their second win in three matches. Scott Nagle received the best player award in the clubrooms with Daniel Wayne second best, a great effort having come off the bench at half time. It was also a promising debut by young gun Daniel Scorsonelli who made his first appearance for our senior team. 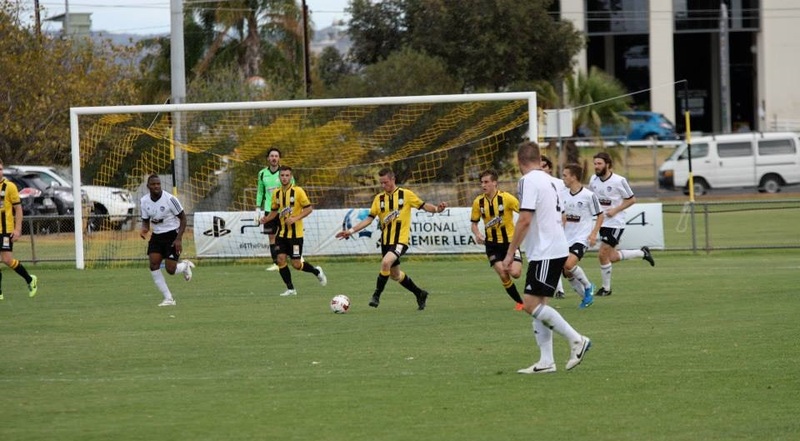 A big weekend ahead with Metrostars at home on Saturday and Port Pirates also home on the holiday Monday. On another warm afternoon the Birks ressies were sluggish in the first half despite leading 2-1 at half time . 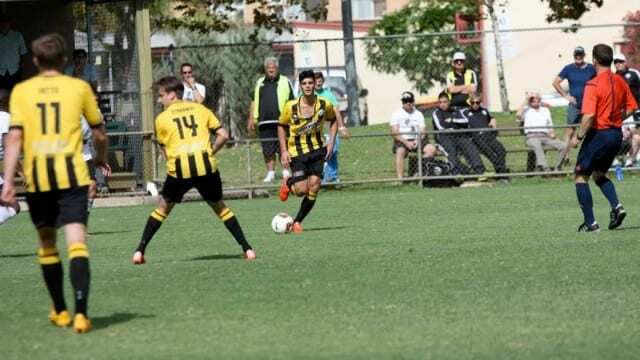 Daniel Scorsonelli opened the scoring in what was a big day for him – he later came on and acquitted himself well in the seniors which was great to see. Shortly after the break the score was 3-1 and Birks were in control however the Knights rallied to level at 3 all with coach Aldo Maricic not overly excited about the work rate of his players. In the end Ned Spiniello, Will Plush, Milton Mitsioulis and Jordon Hayhurst all scored with Maricic very pleased with the team’s finishing and build up to goals. Best for the reserves were Ned Spiniello who played in an uncustomary role up front, Peter Karakasilis in the midfield and Finn Hayhurst at right full back. Birkalla’s Under 18s scored an emphatic 6-0 win over Para Hills Saturday with the lads heeding the message of Coach Jason Hayhurst. He asked them pre game to hang onto the ball and use it which they did to perfection. The team looked extremely comfortable on the ball throughout which pleased Hayhurst immensely. John Kananga made it onto the score sheet again with Luke Uzzell scoring twice and there were also goals for James Polli, Jack Pannuchio and Aaron Johnstone. Best for the afternoon were Connor Moss for the second week running, Luke Uzzell and Captain Ewan McDonald. ◂ West Adelaide Win Points but lose Respect!